Vivekananda International Foundation: What the Election Results Mean for Japan? The Lower House Elections held in Japan on October 22 have given a resounding mandate to Prime Minister (PM) Shinzo Abe to remain in office till 2021. Abe, the third longest-serving PM of the post-war era is now on track to becoming (in November 2019) the longest-serving PM in Japanese history. In May, the ruling Liberal Democratic Party (LDP) had changed an internal rule to extend the maximum tenure of its president from the current six years to nine, paving the way for Abe to serve as the PM for the fourth time. LDP won a total of 284 seats in the single seat constituencies and proportional representation blocks. With its coalition partner Komeito, LDP has won a total of 313 seats, giving them a two-thirds majority in the Lower House. Abe’s agenda and policy intentions are well known. With his overwhelming priority on security policy, his foremost desire is to revise the Japanese Constitution to seek legitimacy for the Self Defence Forces (SDF). Abe feels an amendment of Article 9 is necessary to rejuvenate Japan on both domestic and international platform, and enable it to be a security provider for itself and in the region. It was during Abe’s first stint as the PM that the Defence Agency was elevated (after 53 years) to the level of Defence Ministry in 2007. In his second and third stints, Abe instituted the National Security Council that centralised security policy of Japan under the prime minister. This was followed by the first National Security Strategy that outlined a ‘Proactive Contribution to Peace’ on Japan’s part and even broke the sacrosanct one percent ceiling of Gross Domestic Product (GDP) on defence spending. 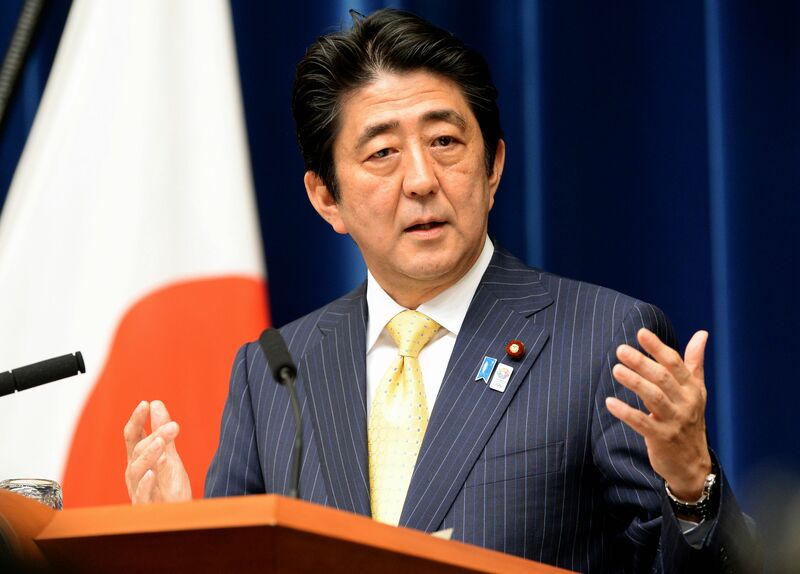 Abe further introduced the most extensive legislation in Japan’s security policy –National Security Legislation, which allowed the SDF to operate overseas for collective self-defence. Abe also lifted the total ban on arms exports and passed the State Secrets Law that had been abolished under the Allied Occupation period. Even though LDP and the constitutional revisionists hold two-thirds majority in both the Upper House and Lower House of the Diet, Abe has a tough path ahead. Article 96 of the Constitution states that a two-thirds majority in both houses of the Diet,followed by a majority in a public referendum is necessary to institute a Constitutional Amendment. The October 22 Election analyses indicate that even though LDP won by a majority, Abe received only a quarter (25.2 percent) of the absolute ratio of votes. The voter turnout was at 54 percent, the second lowest post-World War II. Even though Typhoon Lan and torrential rains may have been a strong contributing factor, this election follows the trend of 2014 elections that saw the lowest turnout in the post war era1. Further, statistics indicate that a split opposition fractured the opposition vote that worked to great advantage for the LDP. As per Mainichi Shimbun, in 177 single seat constituencies, there was a three way race between the two opposition blocs and ruling party bloc. In 52 of the 177 constituencies, the combined number of opposition votes surpassed that of the ruling bloc candidate2. Thus, if the opposition bloc were to regroup as Japanese newspaper reports indicate, Abe does not have a long time window. The timing for public referendum is most crucial in Abe’s attempt at revision of the Constitution. Summer of 2019 will see Upper House elections again. Thus the amendment bill will have to enter Diet in January 2018 and reach public referendum by December 2018. The abdication of Emperor Akihito at the end of 2018 and a new coronation will serve to detract any negative attention to the process of constitution amendment. However, the issue of constitutional amendment is overlapped by economic concerns. In his second stint, Abe had proposed ‘Abenomics’ - three “arrows” of monetary easing, fiscal expansion and structural reform - to jolt the Japanese economy out of its economic malaise. Encouraging fiscal flexibility, Abe has expanded government budget to near-record levels of deficit spending. Further declining and ageing population, emerging new economies, rising social security costs, structural reforms of bringing gender parity in work, addressing the culture of overwork, and many such issues remain as other pressing problems. Yet, the Japanese economy grew for a fifth consecutive quarter in January-March 2017. The last time when the economy saw a strong streak of growth was in 2005-06 when it grew for six quarters in a row. In such a scenario, constitutional amendment gives potential for economic fallback amidst criticism from the neighbourhood. It is inevitably expected in case of China that accounts for nearly one fifth of Japan’s merchandise trade. In conclusion, Abe’s resumption of office thus holds numerous challenges and opportunities for Japan. Owing to a strong mandate, Abe can work unhindered in implementing his vision for Japan. Thus, one can see the continuation of many policies as well as extensive new changes in the coming time. Abe through his three stints as the PM has managed to cultivate strong working relations with many heads of states. His numerous summits with the Russian President Putin and comfortable dynamic with the US President Trump will serve him in good stead ahead. Further, the North Korean nuclear threat has served to bridge the gap with liberal South Korean President Moon Jae In. However, Abe has yet to hold a direct bilateral summit with Chinese President Xi Jinping even though they have met numerous times on the sidelines of many multilateral and regional summits. In case of India, strong chemistry between Abe and Indian Prime Minister Modi will ensure a strong convergence of Indian and Japanese policies in the future. From security to economic cooperation, one can expect that Abe will continue to place a premium priority on ties with India, making his re-election highly welcoming and good news for India.